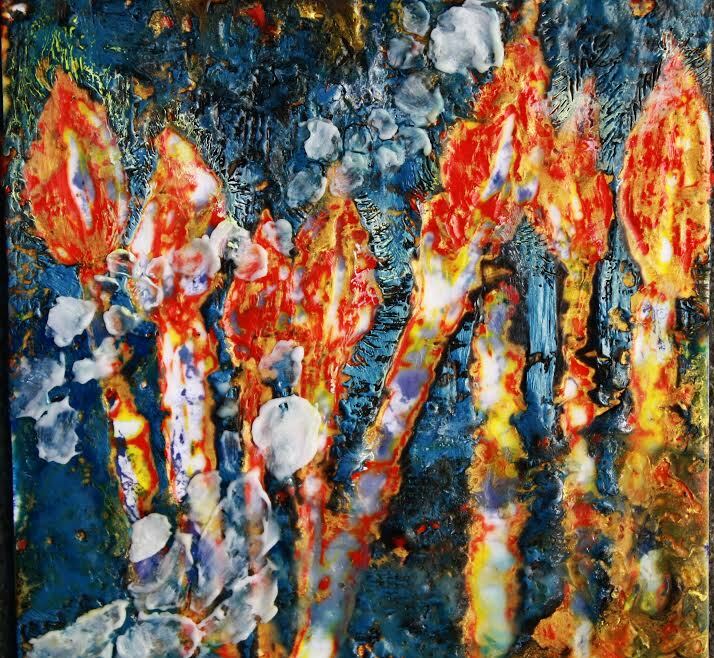 “Wax becomes fire” by Mia Avramut, wax on masonite board, 6 x 6 in. This entry was posted in Archives, Poetry and tagged fall2015 by Mary Akers. Bookmark the permalink.